Hi guys! 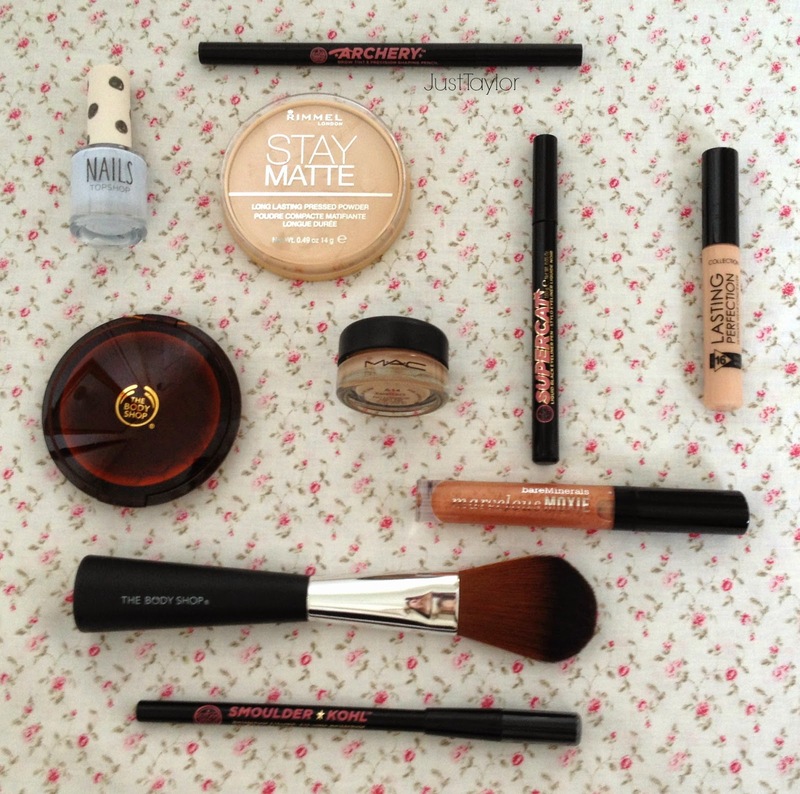 Recently I've been doing a spot of shopping and couldn't resist picking up a few beauty items along the way. I'm going to separate my haul into two blog posts; one beauty post and one skincare post. The reason for this is that if I put them together, the post would just be far too long. As you can probably tell, I can't resist offers. 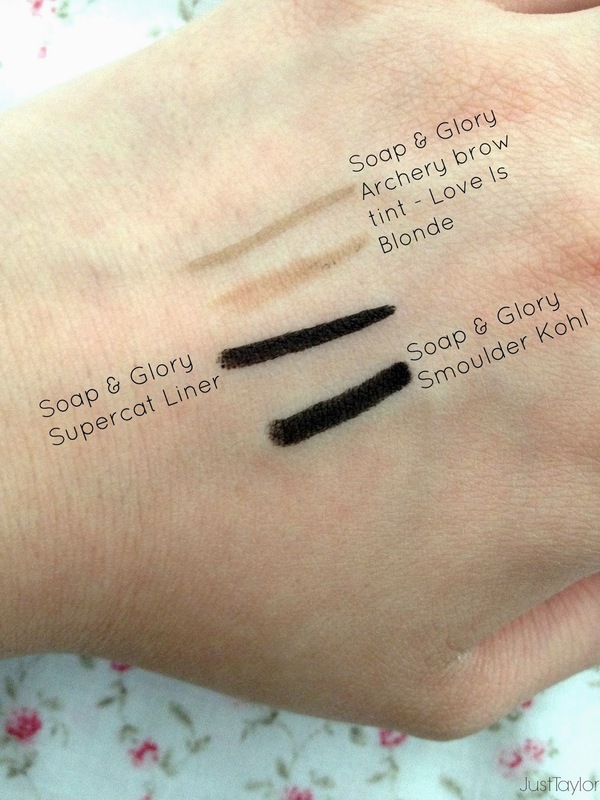 I've been wanting to try the Soap&Glory Supercat liner for ages and when I eventually went to the little stall in Boots to pick it up, they had a 3 for 2 offer on, so I really couldn't resist and decided to also purchase the Brow Archery and their waterproof black kohl eye-liner. As I decided to get my make-up done for my prom and I needed a trial, I purchased the lipgloss that the lady had used on me in the shade 'Rule Breaker'. I also was in desperate need of a new under-eye concealer as I had ran out so I purchased the Collection Lasting Perfection concealer in '2-cool medium' and I picked up a new Rimmel Stay Matte powder in '001 Transparent'. Whilst I was in Topshop I noticed a lovely pale blue nail varnish in the shade 'Buff' whilst I was waiting to pay at the tills and decided to buy it as I don't have a shade like it. When I popped into The Body Shop, I was immediately bombarded with offers. When I went to buy the Honey Bronzer in the shade 03, the woman didn't hesitate to inform me that it was buy one get one half price on their make-up items, therefore I decided to pick up the face & body brush. Lastly I picked up the MAC pro longwear paint pot in 'Painterly' as it is the perfect base colour for your eyeshadow and blocks out any redness and veins on your eyelids. 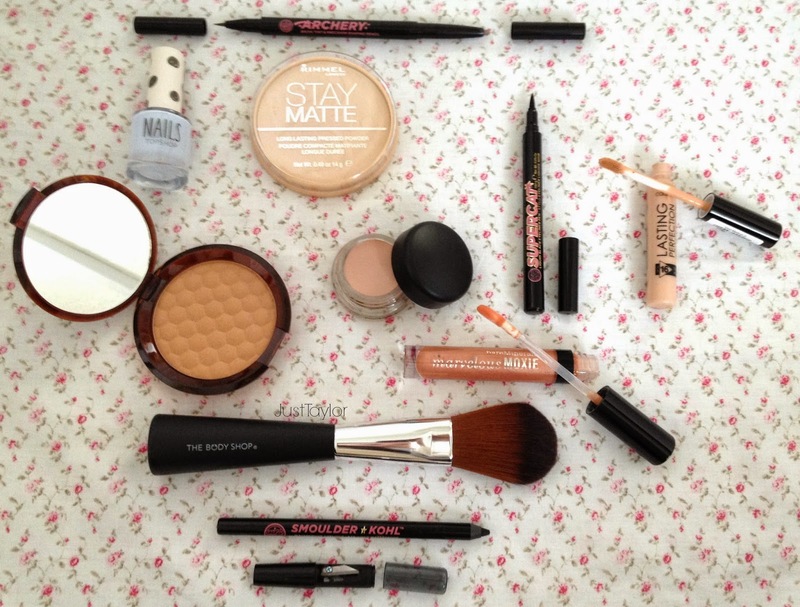 If you would like me to do a review on any of these products just leave a comment down below!